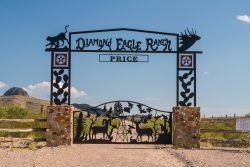 Diamond Eagle Ranch straddles the northwest summit and shoulder of the Eagle Mountains, nine miles south of I-10 between Sierra Blanca and Van Horn. 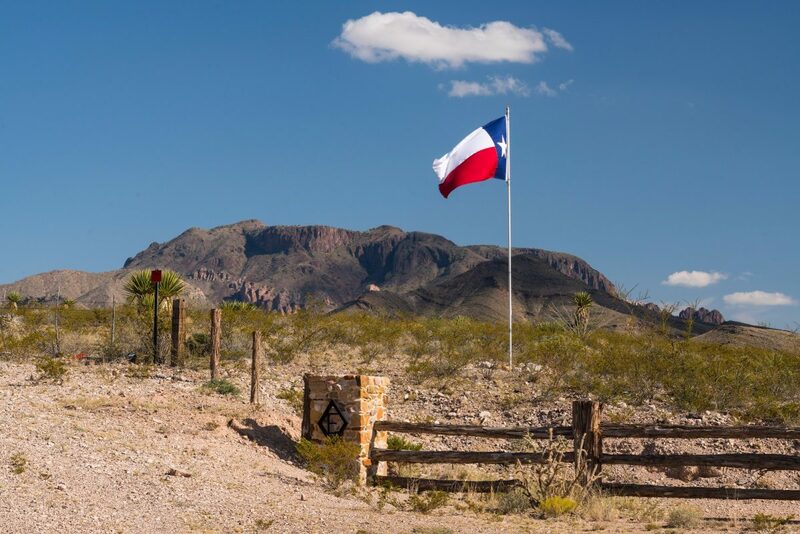 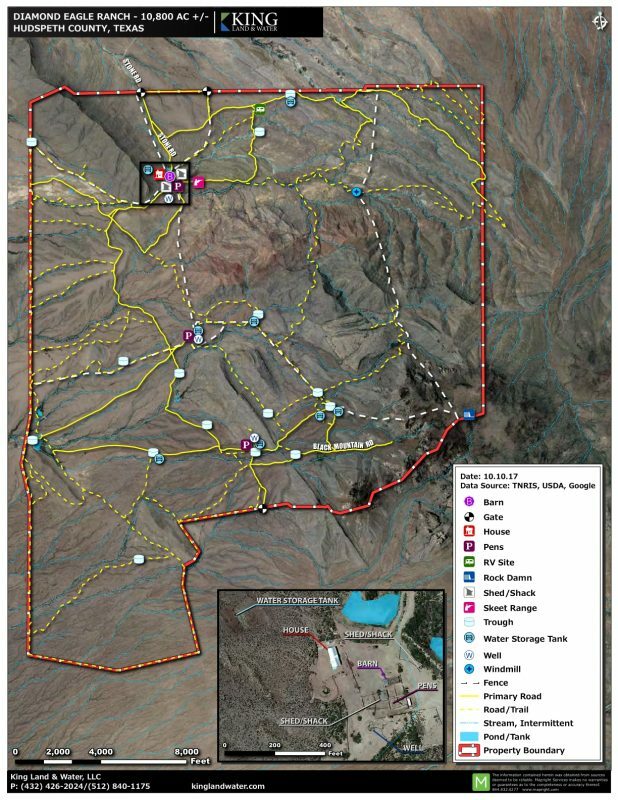 The ranch is accessed by a private well-maintained gravel road by deeded easement and is a mere 1.5 hours from El Paso International Airport and 1 hour from Van Horn Airport. 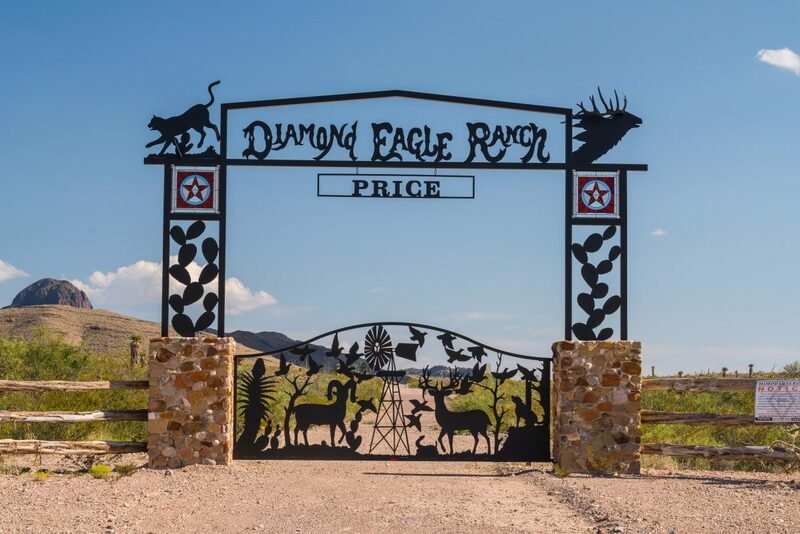 Large well-established landowner neighbors, all with low fences and excellent game management programs, make Diamond Eagle the perfect hunting and recreation property. 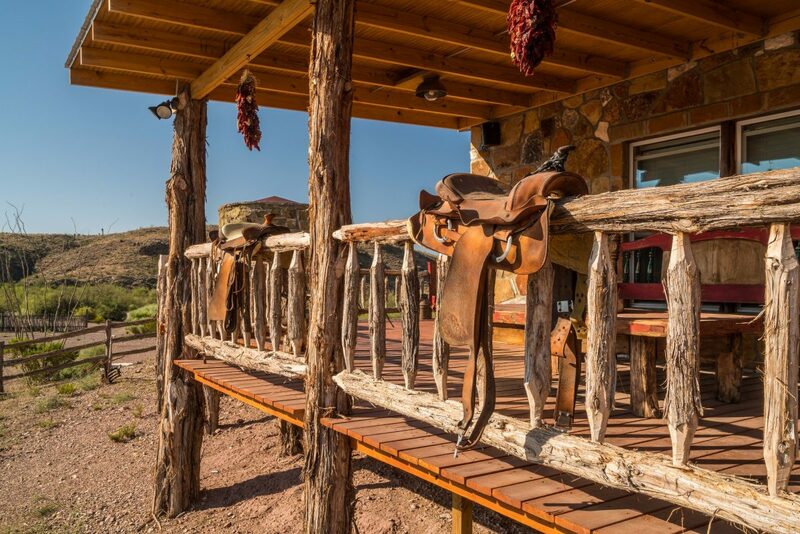 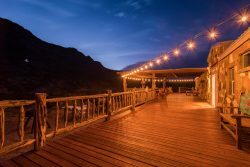 The ranch is tucked into a very isolated part of the Eagle Mountains, yet offers excellent access and, at the same time, extreme privacy. 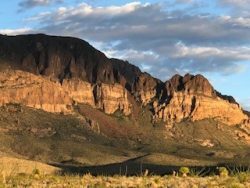 The Eagles are part of a chain of “sky island” mountains that stretch from New Mexico through West Texas and into Old Mexico. 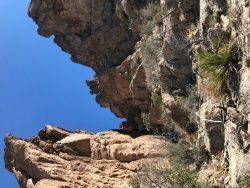 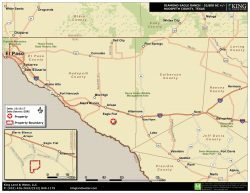 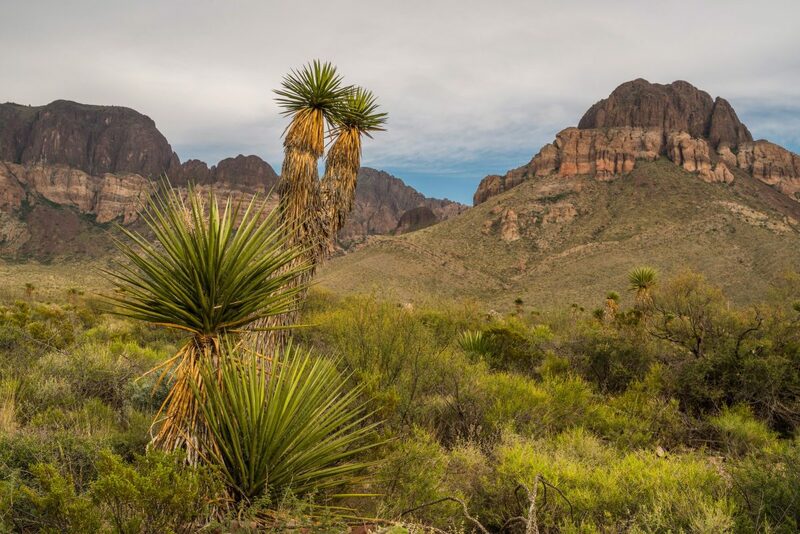 With the Quitman Mountains to the west, Sierra Blanca Mountain to the north, and the Diablos Mountains to the northeast, the Eagles are a mountain island in a desert sea, creating unique high-elevation habitats and stunning landscapes and views. 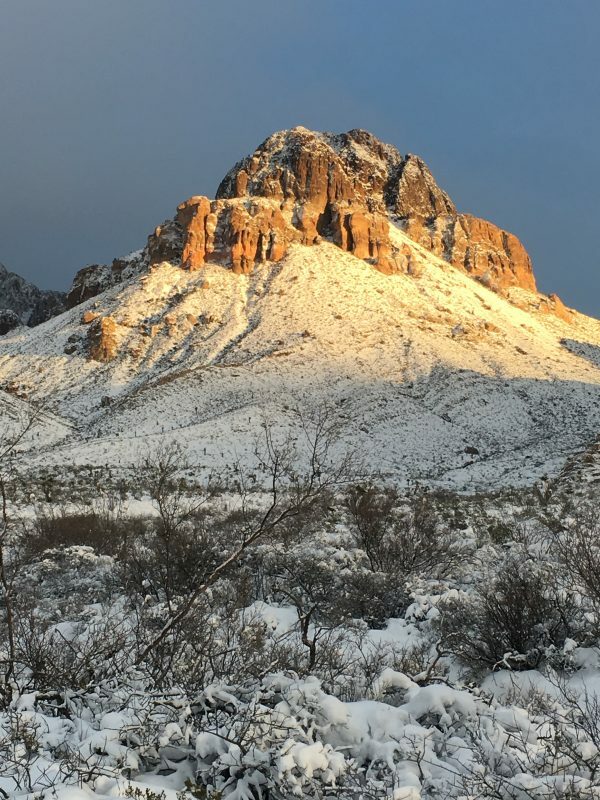 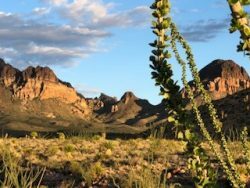 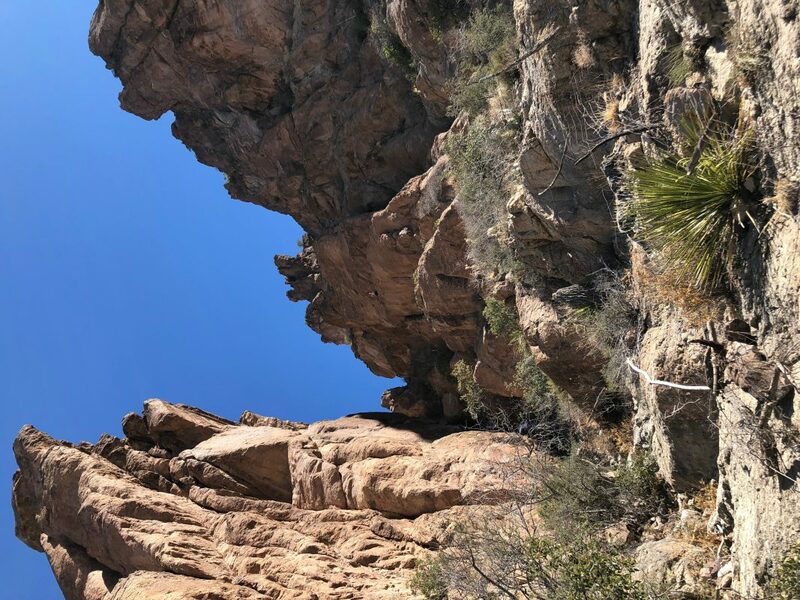 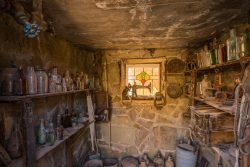 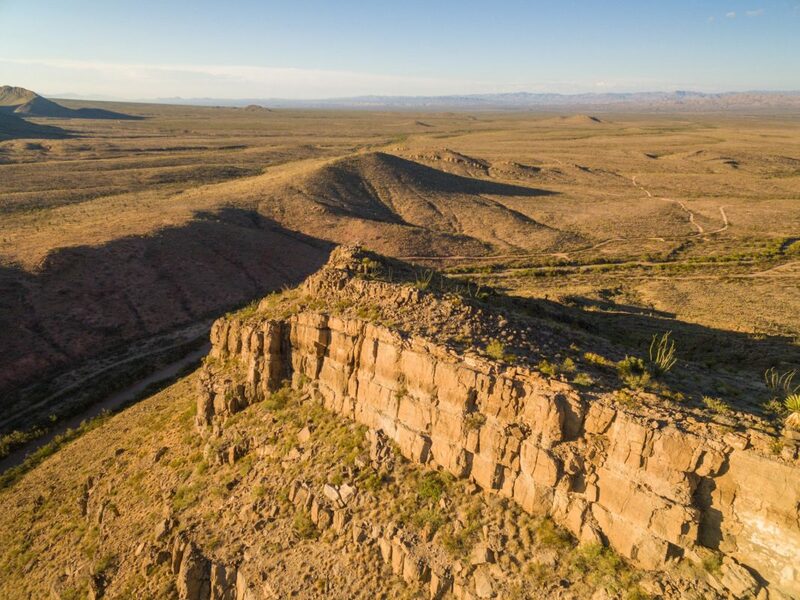 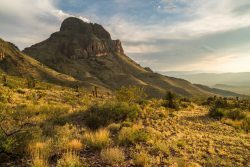 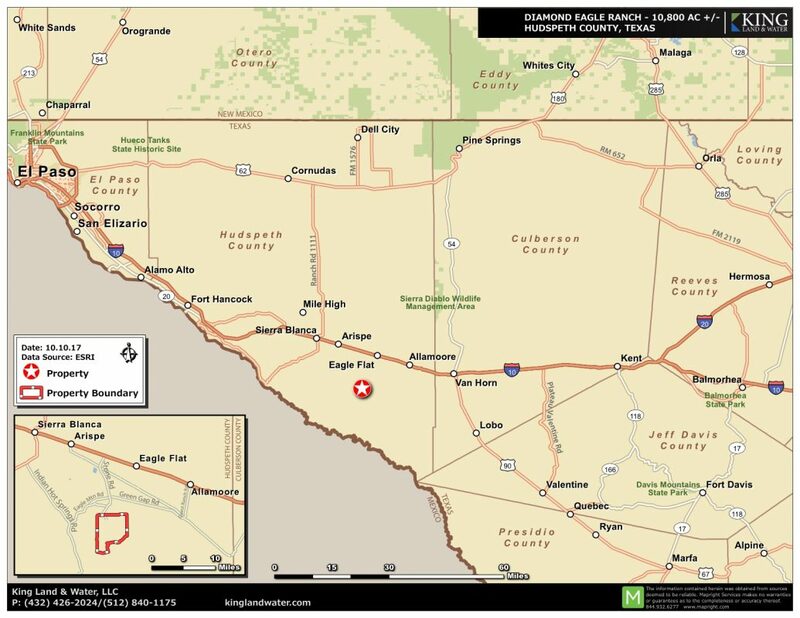 This high Chihuahuan Desert ranch has elevations ranging from 4,200 feet to 6,400 feet and is a series of canyons, peaks, valleys, rolling flats, and arroyos creating rugged yet accessible terrain. 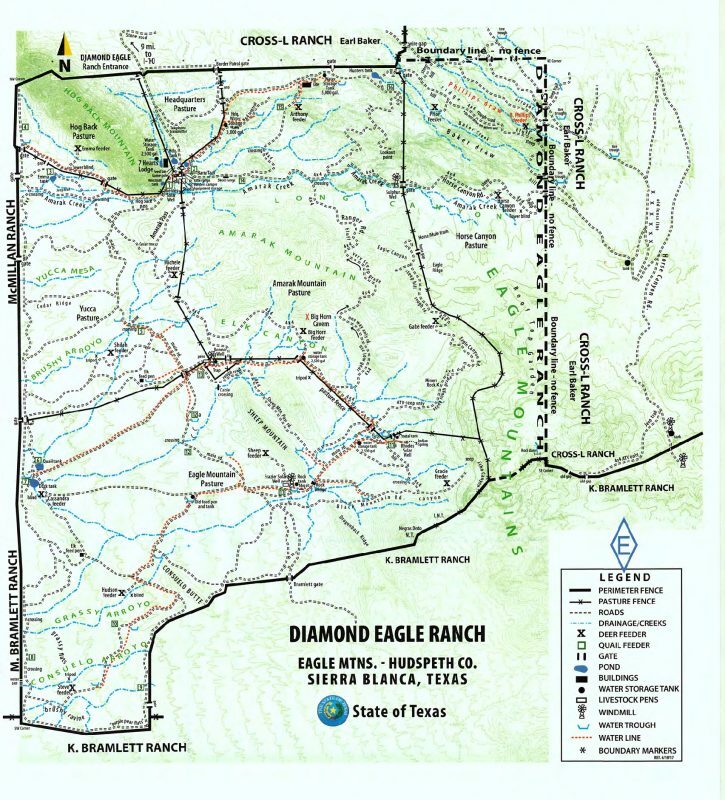 The higher elevations of the Eagles are just to the east at 7,400 feet. 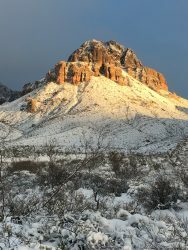 The Rio Grande Valley to the south and west, with the Mexico mountains beyond, creates extraordinary geology and rock outcrops, one of which, NT Mountain, towers over the ranch. 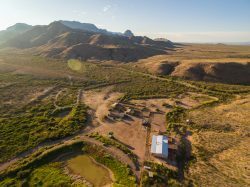 Sunrises and sunsets on this ranch are nothing short of stunning and vistas stretch into the distance for 100s of miles. 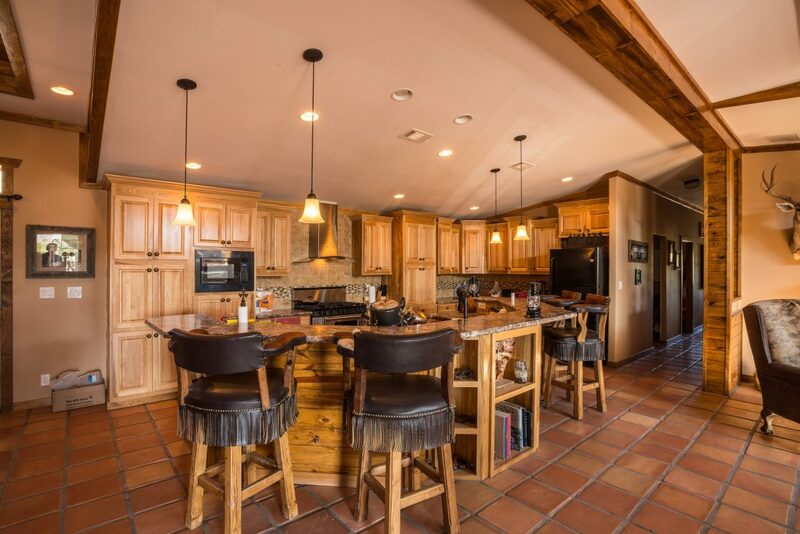 This is a turn-key opportunity to move right into a world-class hunting and recreation ranch. 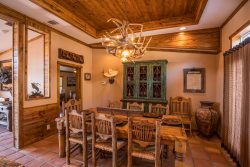 A custom entertaining lodge with a variety of outbuildings nestled at the foot of Hog Back Mountain is as private and scenic as it gets. 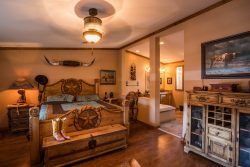 There are 42 miles of roads and new water and hunting infrastructure for a day-one start on enjoying the amazing amenities this ranch has to offer. 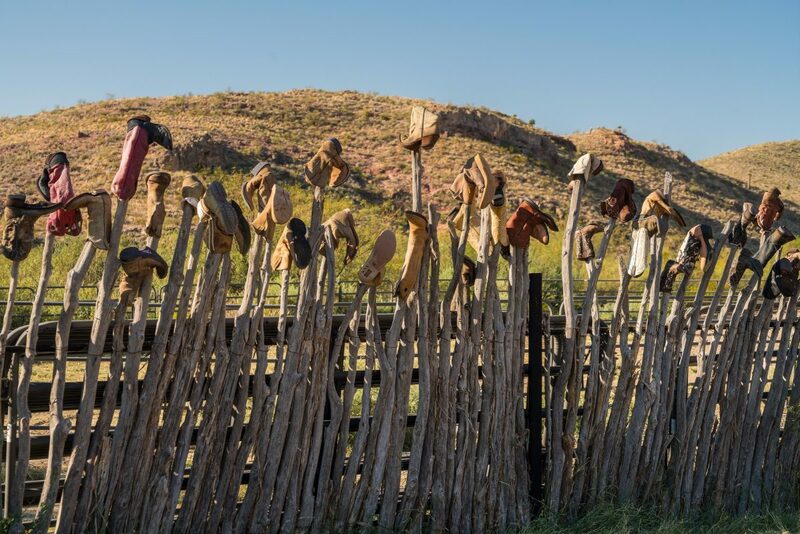 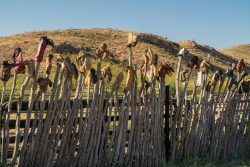 The neighborhood around Diamond Eagle Ranch is rich in history as this was the raiding ground of Chief Victorio and his Mescalero-Warm Spring Mimbres Apaches where Buffalo Soldiers fought to protect the Overland Trail just a few miles north of the ranch entrance. 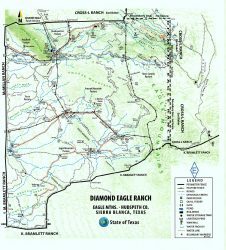 In 1879 Lt. Carpenter mapped out the main Indian Trails used by Victorio which traveled directly through the Diamond Eagle Ranch. 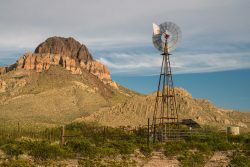 Hudspeth County remains the second-least populated county in the state. 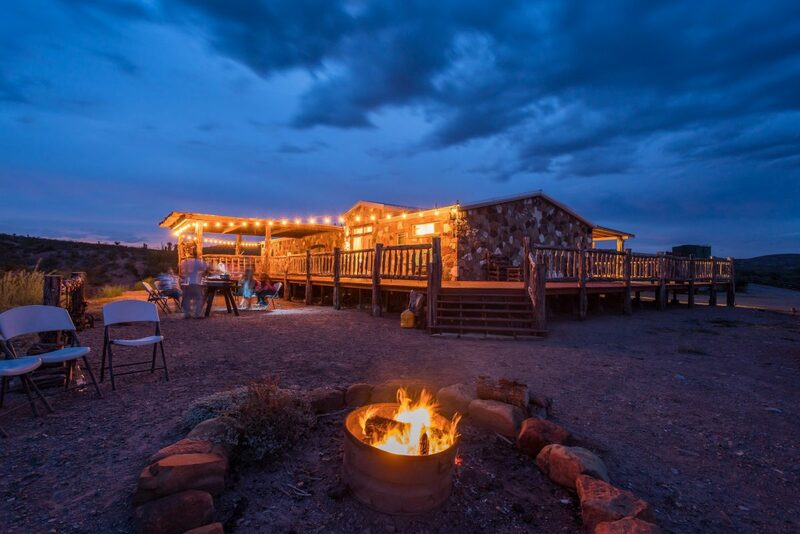 It is possible to experience spectacular sunsets and at night marvel at the heavens filled with billions of stars. 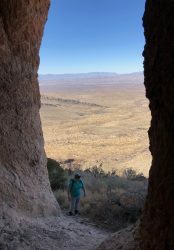 After taking all this in, one can’t help to appreciate what few people rarely experience – what true silence is all about. 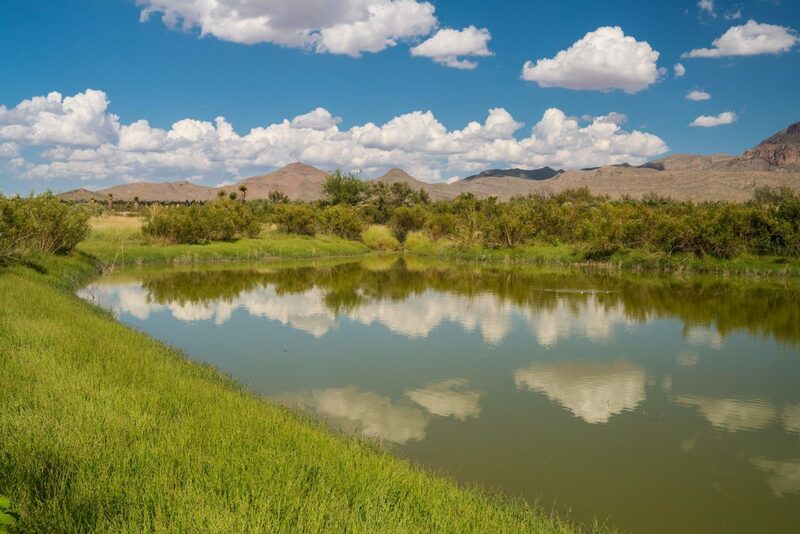 chino grama as well as cane bluestem, green sprangle-top, tobosa, and many others. 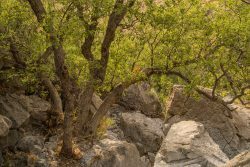 Along the canyon floors, and especially on the north facing slopes, there are juniper and sandpaper oaks. 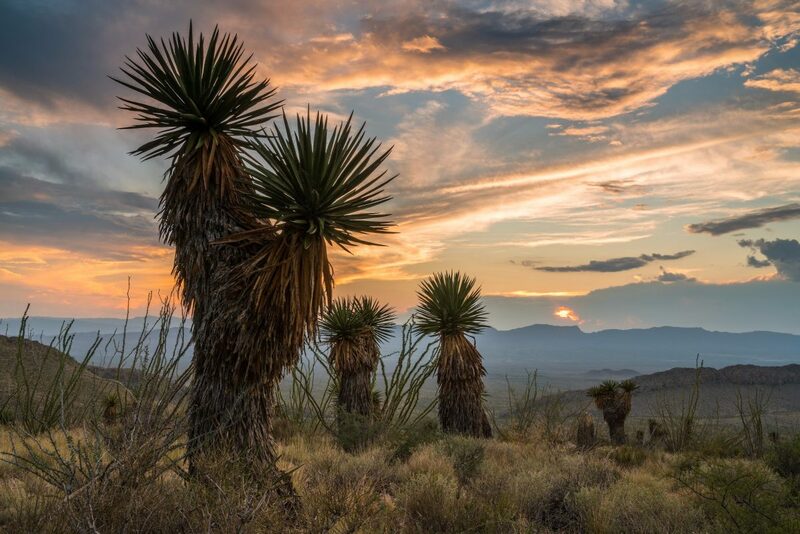 A variety of flowering plants and cacti provide habitat for migrating and resident birds, bats, and butterflies. This is truly a sky island habitat with unique plants and animals as higher rainfall in the mountains supports an isolated island of woodland habitat. 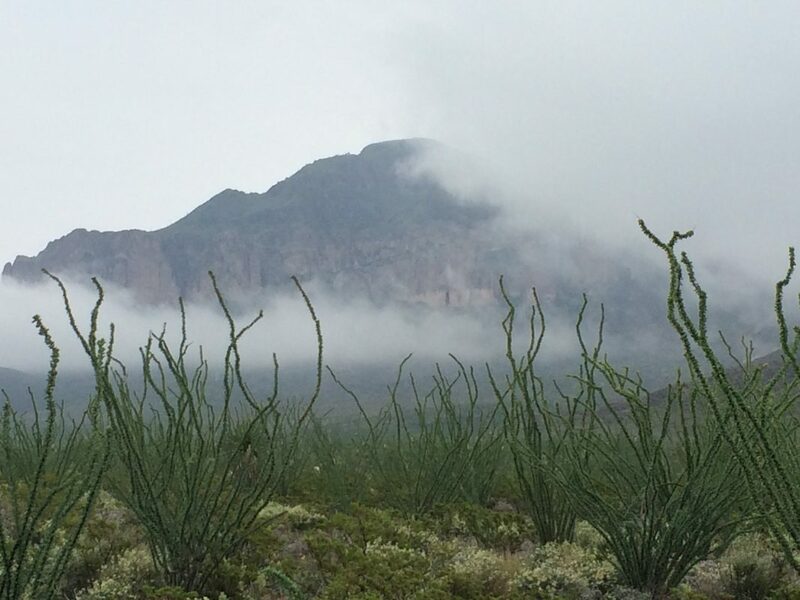 Views of area mountains and grasslands of the Trans-Pecos as well as into Mexico are breathtaking. This is big mule deer country and the ranch has been carefully managed with a MLD Level III permit over the past 10 years to improve the herd and maximize the potential for growing large mature bucks. Blue quail, Gambel’s quail, and dove populations are tremendous and create great hunting opportunities as do Aoudad and other game species. 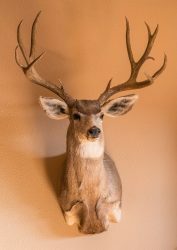 There is also a population of elk located in the Eagle Mountains and they are seen regularly on this ranch. 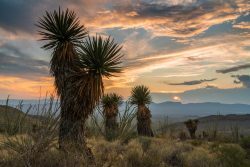 Native trees, brush, and grasses provide excellent habitat for these game species and many native birds and other non-game animals. 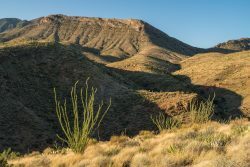 Desert big horn sheep are on the ranch and several sightings of rams and ewes verify this as a known breeding population. Other wildlife include fox, javelina, coyote, eagle, mountain lion, bobcat, songbirds, hummingbirds, and an amazing diversity of reptiles, invertebrates and mammals, making this a very special place to see and experience the various Chihuahuan Desert wildlife species. Diamond Eagle Ranch has a central lodge with master suite and two other bedrooms and an additional bath. 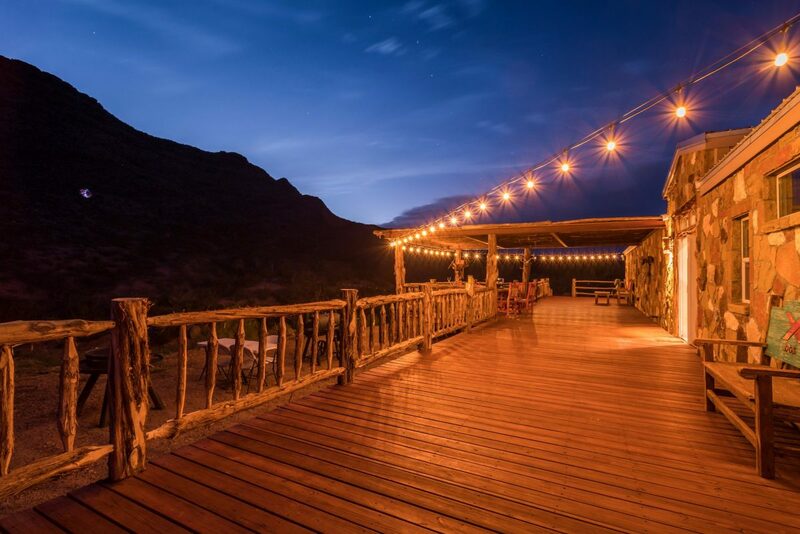 Custom rockwork clads the exterior and a huge deck surrounds the entire building, covered and uncovered, providing the perfect entertainment area. The house is furnished and is powered by a generator near the barn. 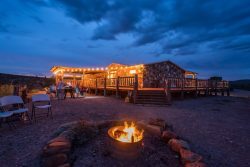 Improvements include many outbuildings, a hunting camp with septic/electric hook-ups, and working pens nearby. 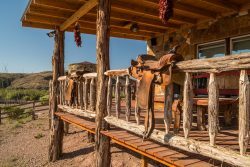 There are several custom features like a rifle range and a trap-shooting area with covered picnic table not far from the headquarters. The ranch has 21 watering troughs with new 1.25-inch poly main lines and 1 inch line to each trough with individual cut off valves. 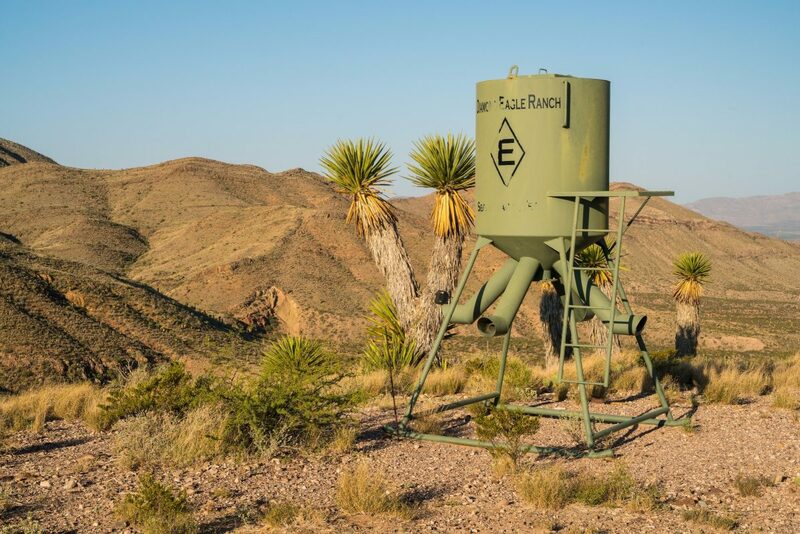 There are 3 solar wells, 1 windmill, 5 dirt tanks, five 2,000-gal storage tanks, and one 5,000-gal elevated tank. 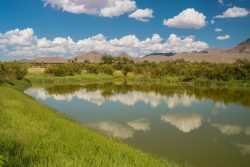 In short, the ranch is exceptionally watered with a new system for a ranch in this part of the State. 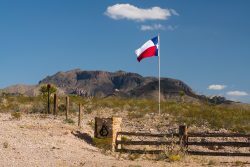 The Ranch has an Ag Exemption with total taxes for the year around $1,400 annually. 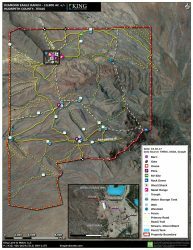 The entire 10,322 contiguous acres are deeded in the owner’s name and will convey to the new buyer. 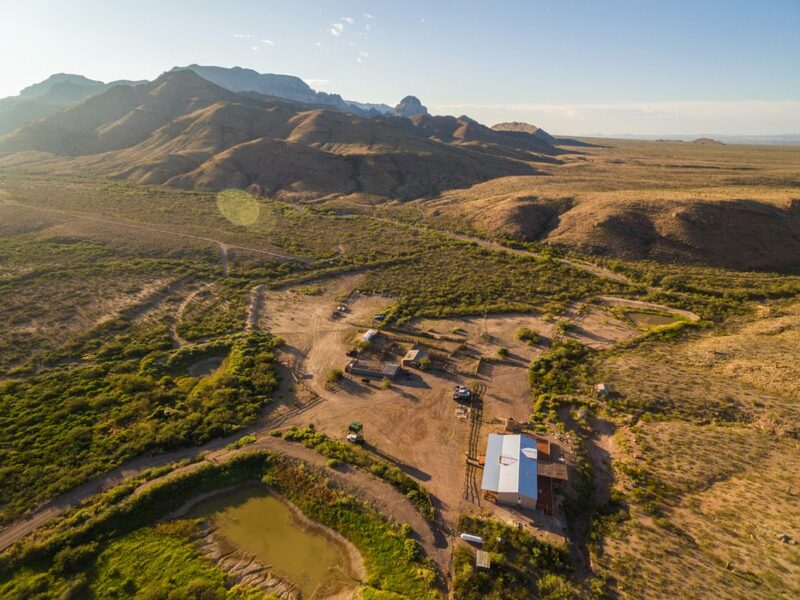 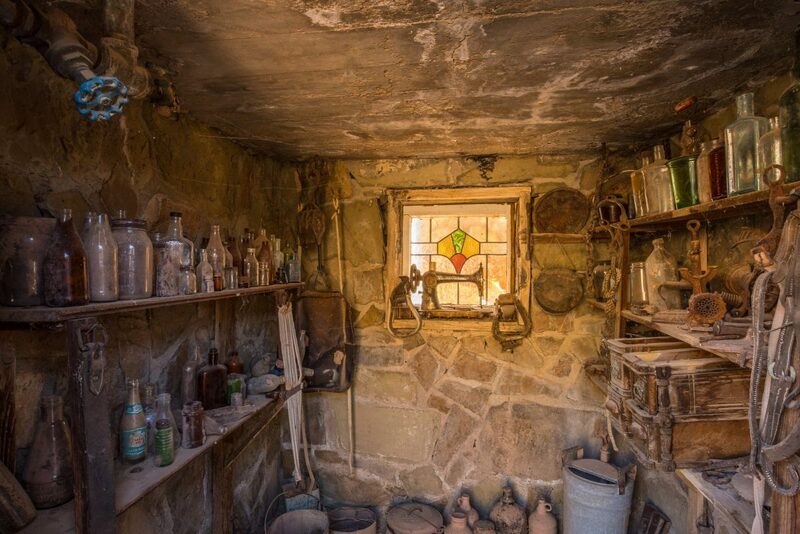 The mineral interests on the Ranch are designated as “Mineral Classified” where the owner and the State of Texas own equal percentages. 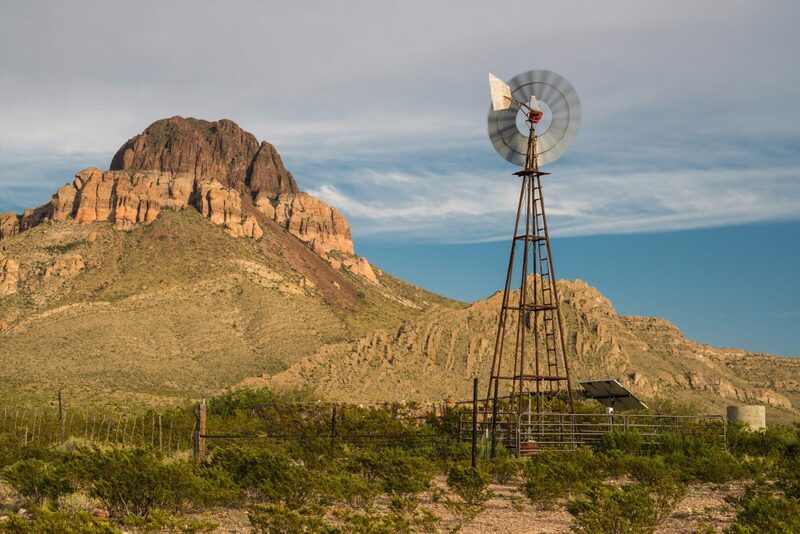 The balance of the mineral interests are owned by Texas Pacific Land Trust.